On Saturday Scott Morrison's border asylum meter registered the arrival of the 150th boat and 8700th asylum seeker since Julia Gillard's announcement of the Pacific Solution Mark II in August. On Monday the three members of the Expert Panel on Asylum Seekers appeared before the Parliamentary Joint Committee on Human Rights. The panel members remained fairly upbeat that their suite of measures were still kicking in. They remain hopeful their recommendations provide the surest way forward for Australia decently to protect its borders and to arrest the risk of desperate people making perilous journeys on leaky boats. This inquiry is a litmus test for the new Committee on Human Rights as it listens to evidence from lawyers scrutinising a raft of new migration legislation for compliance with key international human rights instruments, trying to avoid the toxic policy debate about border protection which has so paralysed the Parliament. Our view is not simply that the Nauru option would not work but that the combination of circumstances that existed at the end of 2001 could not be repeated with success. That is a view that we held for some time ... it is the collective view of agencies involved in providing advice in this area. The committee heard that the new Pacific Solution is being rolled out at a cost of billions of dollars. Richard Towle, the United Nations High Commissioner for Refugees' regional representative, expressed concern about the so-called 'no advantage test' and whether the detention of asylum seekers on Nauru or Papua New Guinea is arbitrary, and thus a breach of international law. The UNHCR has put the Government on notice that 'the practical implications of the no advantage test are not fully clear to us' and UNHCR is 'concerned about any negative impact on recognised refugees who might be required to wait for long periods in remote island locations'. Angus Houston, the chair of the expert panel, insisted that his panel had never formulated a no advantage test. They simply recommended 'the application of a no advantage principle to ensure that no benefit is gained through circumventing regular migration arrangements'. But any such principle needs to be operationalised. That can be done only by formulating a verifiable test against independent criteria to determine whether or not any asylum seeker is gaining an unwarranted advantage by jumping on a leaky boat headed for Australia. If such a test could be rendered workable and coherent, Philip Ruddock, the original architect of the Pacific Solution, would have implemented it a long time ago. The Government's position is that the detention of asylum seekers is neither unlawful nor arbitrary per se under international law. Continuing detention may become arbitrary after a certain period of time without proper justification. The determining factor, however, is not the length of detention, but whether proper grounds for the detention continue to exist. The Government claims that people generally are detained only for 'identity, security and other relevant checks'. But what if they are being held for longer than is required for such checks? And what if they are being held for protracted periods simply to satisfy the incoherent and and unworkable 'no advantage test'? Surely the detention then becomes arbitrary, whether or not it occurs onshore in Australia or offshore in Nauru or Papua New Guinea with Australian acquiescence and payment for the 'service'. The aim of the integrated package is to ensure that if people risk their lives at sea, if people give their money to a people smuggler, they get no advantage from it. So one element ... is a regional processing centre on Nauru which would operate in a different way than detention centres in Nauru have operated in the past, and, in particular, the operation in Nauru would have built into it the same amount of waiting time to get a resettlement opportunity as people would have experienced before they risked their life at sea, before they gave a people smuggler their money. That is the difference: the breadth of the package, the interlocking nature of the recommendations, and the change to the recommendations about what should happen on Nauru and on PNG. This week, the expert panel told the parliamentary committee the no advantage principle was not a means for keeping people longer in detention or keeping them waiting longer for a durable solution. If the principle is coherent and workable, the panel and the Prime Minister have very different understandings of its operation. Bowen has also told the committee the use of force authorised by the Migration Act to authorise removal of asylum seekers from Australia to Nauru or PNG does not amount to cruel, inhuman or degrading treatment under the International Covenant on Civil and Political Rights. But if force is being used to remove a person from Australia to another place for the purpose of detaining that person for a protracted period of time under a no advantage test, the force is then truly degrading. After the High Court's decision in August 2011 striking down the Malaysia solution, the expert panel (none of whom is a lawyer) agreed with government that it was best that the courts be excluded from considering whether executive government had sufficiently protected the human rights of asylum seekers when designating a new offshore processing country. Substituting High Court review, the expert panel recommended that 'legislation should require that any future designation of the country as an appropriate place for processing be achieved through a further legislative instrument that would provide the opportunity for the Australian Parliament to allow or disallow the instrument'. It is very disturbing to see that the Government has now submitted to the human rights committee that the instruments designating Nauru and PNG are 'not subject to disallowance' and that there was therefore no need for the Government to provide a statement of compatibility with human rights. The first tranche of legislation passed by the Parliament implementing the recommendations of the expert panel allows the Parliament to 'disapprove' but not 'disallow' such a designation. It's on legal niceties like this that the protection of human rights of asylum seekers have come to depend. Vigilance is required even when our parliamentary committees are meeting within the octave of Christmas. In the New Year, we will all need to move our focus from Nauru and PNG back to better regional cooperation with Indonesia and Malaysia. Meanwhile, Scott Morrison's meter keeps ticking over. Fr Frank Brennan SJ is professor of law, director of strategic research projects (social justice and ethics), Australian Catholic University, adjunct professor at the College of Law and the National Centre for Indigenous Studies, Australian National University. He gave evidence to the Parliamentary Joint Committee on Human Rights in Canberra on Monday. The committee sits again in Melbourne today. "The committee heard that the new Pacific solution is being rolled out at a cost of billions of dollars". I heard on the news last night that the foreign aid budget has been cut to divert money towards maintaining the current asylum seeker policy. The vast majority of our neighbours need our financial help desperately - and now they are being 'punished' because of our inadequate border protection policies. It's also disturbing to read that Minister Bowen does not consider the use of force to remove asylum seekers from Australia to Nauru/Manus Island to be cruel, inhuman or degrading treatment. Perhaps he could step into their shoes for a day (or much longer!). Here we go again! In Australia we have many thousands of people living on the streets, including families with children. We have acute poverty amongst people in remote settlements and we have elderly people going hungry. We have children dying and starving in many countries because their families cannot afford to by medication and or food. Instead of spending money on the needy in our country and helping the needy in poorer countries overseas, we see the multi-billion dollar people smuggling industry raking in more and more money. We see churches and charity organisations being used by to attract more people to risk the dangerous sea route. We see many people in Australia getting very rich because of “legal; niceties”. It is time for the Government to become a bit stronger in protecting our borders. Removing the tax free status of some the offending charity organisations and churches could be a good first step. Thank you Frank, for explaining what is really happening in legislative chambers and on 'Expert' committees.So much muddied water .. as an average Australian I feel we are not being given all the information in a clear coherent form.Media is our main 'instrument', so I applaud your message and all attention given to this cruelty.Democracy needs debate, and I am thankful for ALL FREEDOMS we have. We conveniently forget how very fortunate we are, or for some reason feel threatened by refugees 'swamping our borders'..we cannot declare a threat of 'war' from unarmed civilians...we are a tiny population,yes, WITH INCREDIBLE WEALTH,and instead of protecting/insulating ourselves we need more people to develop our vast spaces.We will feel an ever increasing tension from huge populations, poverty striken and war torn. neighbours whom we have dismissed as non christian and undemocratic..we must grow up and see the problems of the world belong to us. To act as part of an international community. Immigration is how we developed as a strong, clever country,and Australia was built by the sweat and toil of convicted prisoners.But fear mongers ( no better than warlords) have continued to debase cultures and incite hatred and terror and we install bureaucracies to follow 19th century human rights practices. Eureka should still be our clarion call for equality and fairness.. our fair go..we are of christian heritage and our Saviour was a REFUGEE.Surely Christmas is a time to remember what it is we claim to believe and fight for. Its Not God, King and Country any more. The so-called 'expert' panel would have been selected to deliver the already known and desired government outcome. Houston has spent his life following orders and would hardly have the wherewithall to strike out in a dangerous direction away from government wants and needs. Meanwhile, Bowen is looking and sounding more like Ruddock every day, and sounding just as un-credible as Ruddock ever did too. It's amusing to see all these people in politics who, on the one hand, profess their Christianity, and on the other hand, do deals with Old Nick to gain votes in marginal seats. There is now no difference between Morrison, Abbott, Pyne and Bowen plus the entire ALP caucus on this matter. As for Gillard's disregard for the High Court in this and other areas, historians will show her to be on a par with the Egyptian Muslim Botherhood in their bastardisation of their nascent democracy, and when Abbott wins next year, she will have set the pace for his further abuse of this safeguard of our rights. I'm sorry but I only have swear words.... "the Nauru option would not work but that the combination of circumstances that existed at the end of 2001 could not be repeated with success" Dept of Immigration!!!!!!! 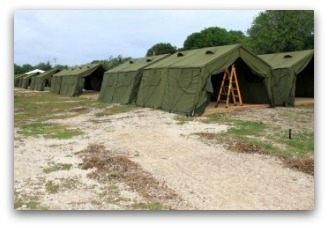 It is useful to compare the Prime Minister’s application of the “no advantage principle” to waiting times in Nauru as quoted in the article with the description given by Mr Paris Aristotle, a member of the Expert Panel, to the parliamentary committee on Monday: “What has been misunderstood about the principle, apart from the fact, I hope we have clarified, that it was never about time. You will not get processing down to six months in the region, but if you got it down to a short period of time, that is all that is necessary. Some people with particular vulnerabilities may be plucked out sooner because of those vulnerabilities or whatever the case may be. It cannot be a strict, rigid formula. The thing about the principle, though, is that because it is focused on those outcomes, the quality of care, the quality of processing and the assistance that people should be able to enjoy during that time should be lifted and can be lifted. There is not a desire through that principle to create punitive measures that would disadvantage people further in order to send a message. It was never conceived in that way. In fact, it allows us to lift standards in processing. It allows us to provide application assistance in Nauru and merits review of those cases. And it should allow us to improve the conditions right across the region—accepting that, country to country, it will not look exactly the same, particularly not in the early stages. I think that is an important thing about what we imagined the no advantage principle to be about. It was not meant to be the negative punitive measure that some people have sought to portray it as being. Most of the people who have sought to portray it in that way have an added conversation with us about it. I just wanted to put on the record that it was never about that sort of thing at all, and we are hoping it will not be in the future.” That’s what I mean about incoherence and unworkability. in Vancouver, they seem to be more welcoming of new arrivals, and don't view them with the sort of jaundiced hostility that Australians seem to do. Why can they not be allowed to work, ie picking fruit in February when farmers are desperate for workers? Why must they languish? It is the height of ignorance and a farce to declare leaking boats overcrowded with unarmed men, women and CHILDREN a national security problem. Sounds and looks more like a joke, if it were not so tragic. How can govt declare them 'enemies' when they are pleading to become citizens and contribute? We have become as callous, arrogant and cruel as the worst dictatorships we stand against. To deprive them of their human rights, detain, imprison,control and dehumanise them (Illegally according to UN) We support TORTURE. But then we have still not given this country's first people any constitutional rights.Only recently declared them deemed worthy of citizenship and no longer categorised under the Fisheries and Wildlife or Fauna and Flora depts.We are too comfortable and don't want extend our narrow view.We cannot live in the past, wash our hands and turn away. I guess we can all hold opinions that seem to ebb and sway, [for me] depending on whose theory I'm reading, but when reality hit me fair square in the face, and people with whom I had formed a relationship, handcuffed and removed by no less than 14 police and immigration officers, as night fell in Eltham, I knew then in my heart that something is very wrong in the way we treat desperate people. Beat refugees are not the reason some Australian's are homeless, but us wasting billions on illegal prisons can certainly affect our ability to help them. Bowen is not a lawyer, the new secretary is not a lawyer, the head of the legal and constitutional committee is a school teacher and these are the fools we think can handle things. The panel did not know what they were doing, because stopping refugees is not an option, it is illegal and genocidal. No Clem. Over 95% are refugees requiring protection and money has never had a thing to do with it. As for Paris he has no idea what he is talking about because there is simply no fixed or rigid migration path for asylum seekers anywhere in the universe. And stop calling it border protection, it is nothing to do with border protection and Eureka Street ought to know better. Frank makes the government's "no advantage" proviso as clearly understood as it could possibly be... no easy task. The penny has finally dropped for me, and it tells me this: Australians are faced with the unavoidable responsibility of caring for asylum seekers. No more off-shore processing, no more indefinite incarceration, no more refusal to allow asylum seekers' employment. Whether or not our government has dug this hole,...we as Australians have to fill it! Claude, well done. They are only applying for a visa 866 which they cannot apply for anywhere but here. Desperate people will always risk their lives to escape unbearable situations. If they reach Thailand, Burma, Indonesia or Malaysia, they cling to the hope of getting to Australia, a safe, prosperous country with a good human rights record. Throughout the ages people have fled danger by leaving their country and seeking asylum. Remember Schindler’s Ark. The world is more mobile than ever, and much more affluent. NOTHING CAN STOP THE FLOW OF REFUGEES. They must be accepted with respect and compassion. The people who arrive by boat have made a conscious decision to risk everything – their own lives and their children’s – throwing themselves at the mercy of fate, the elements, and now us. One Afghan woman who came by boat was asked if she thought it was fair to have ‘jumped the queue.’ She responded that living in Afghanistan was like being in the middle of a burning house, surrounded by panicked people. “If you had found a window through which to escape, would you not have jumped through it?” she asked. In the seventies, South East Asian asylum seekers often drowned at sea or were killed by pirates when trying to come to Australia; many were detained on Pulau Bidong, a Malaysian island, pending UNHCR interview and resettlement to a safe country. This ’Malaysian solution’ circumvented the choice of crossing the seas, risking drowning or death from piracy. After twenty years on Pulau Bidong, the last refugees were finally returned to their home country, now deemed safe, no ‘safe country’ had accepted them. Refugees face grim choices and many of them do not make it to a better place. In relation to the now discarded MOU with Malaysia, Angus Houston told the committee: "We think that there is ... a need for some form of formal arrangement that covers the agreement, possibly a memorandum of understanding with treaty status. It would be very nice if that could be achieved. I think all of that can be done with a cooperative approach and under the sorts of principles that are in the Bali process." Howard & Ruddock & Pauline Hansen (remember her?) stirred up this border protection phobia about boat people and the CLP under Abbott have not been prepared to change this approach. The "expert committee" gave the opportunity for a bipartisan and regional approach to sorting out the chaos fomented by people smuggling operations. But of course the electoral advantage for the CLP still appeared to be in the Howard policies, so they missed this opportunity to be constructive. While they continue to encourage these exaggerated border protection policies the electorate will significantly support them. This puts Labor and Chris Bowen in the difficult position of politically weakening their appeal to the electorate by saving millions of dollars through abandoning Nauru and Manus. I would love to see them leave those offshore dumping grounds, and so would many others, but apparently our voices are not concentrated in electorally significant areas. Chris Bowen deserves commendation for still trying to find some decency in the way the policy is being handled. I doubt if he would have chosen the way it has turned out. He was genuinely upset by the drownings.